If you’ve watched the first season of MasterChef Canada, you’ll recognize the head chef here, Josh Gale. He’s VERY active on Instagram, and it’s great to see him realizing his food dream. 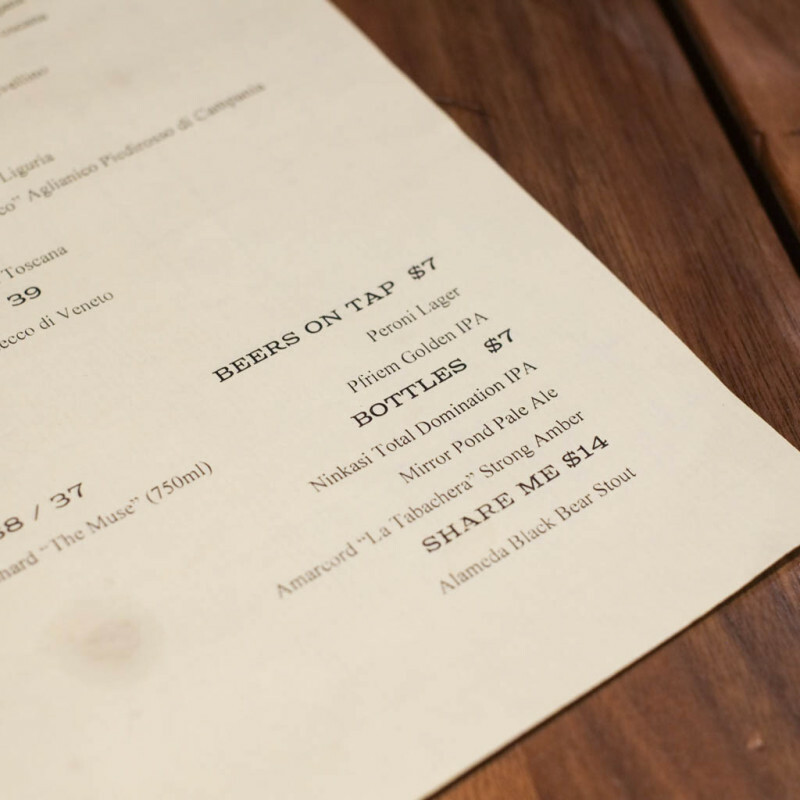 Beer list is totally saved by the pFriem Golden IPA. I actually think it’s a misprint because I can’t see much reference to a pFriem Golden IPA, so I think it’s actually their Blonde IPA, which tastewise makes sense. A nice-sized lunch menu. Not too many choices, but not too few either. Menu also available online. 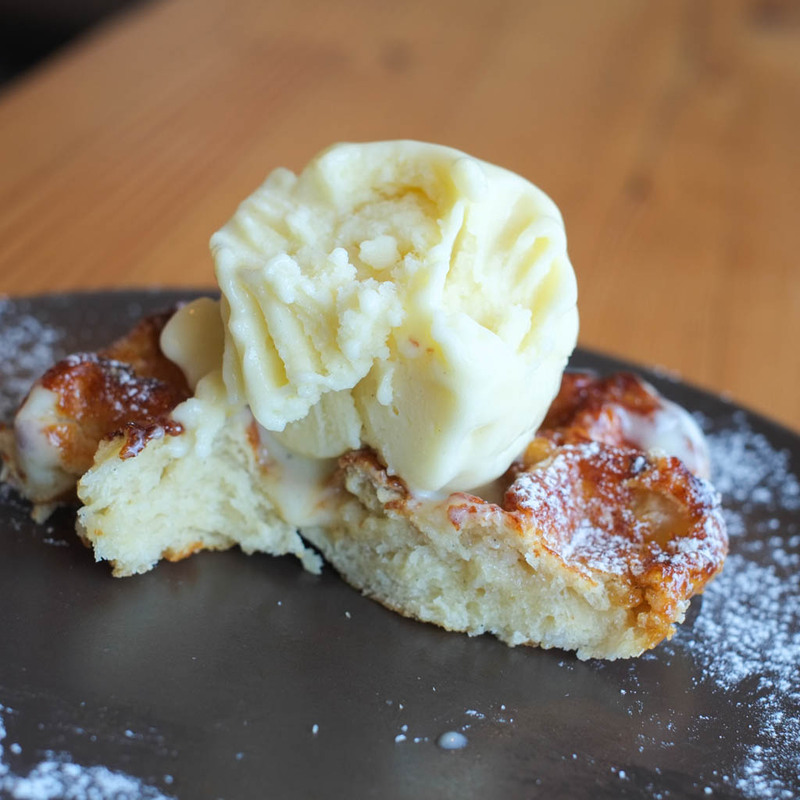 As with most places of this calibre, their menu is seasonal and changes often. 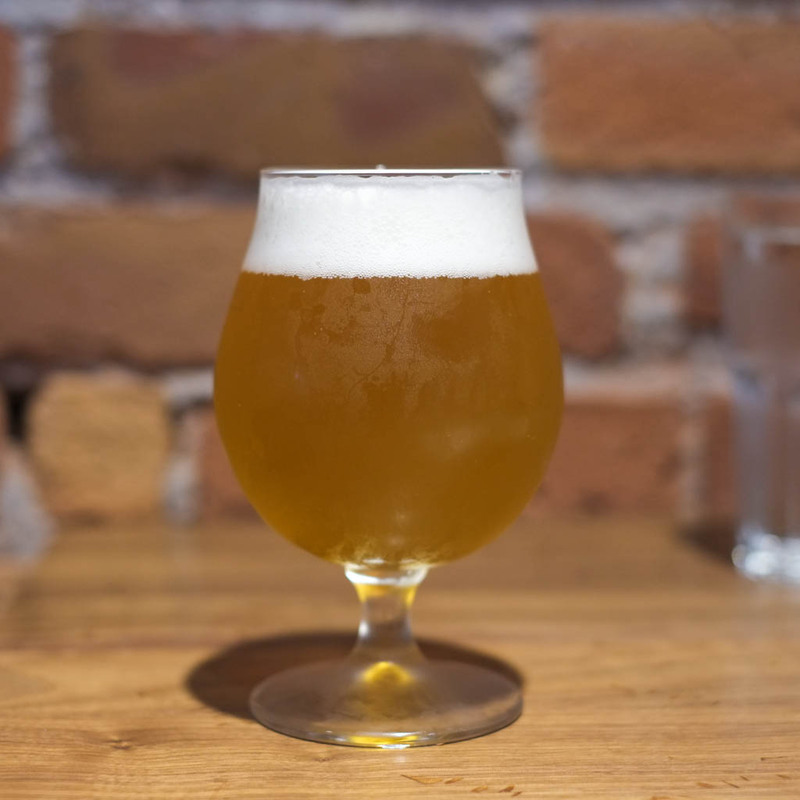 pFriem Blonde IPA (6.25%) – Again, I think this is their Blonde IPA, not a “Golden IPA”. Light body with a crisp bitterness. Quite dry too, which I really enjoyed. Helped cut the fat in my creamy garlic spaghetti, below. I would totally order this again and again. Most things I’ve had from pFriem have been good, never bad. 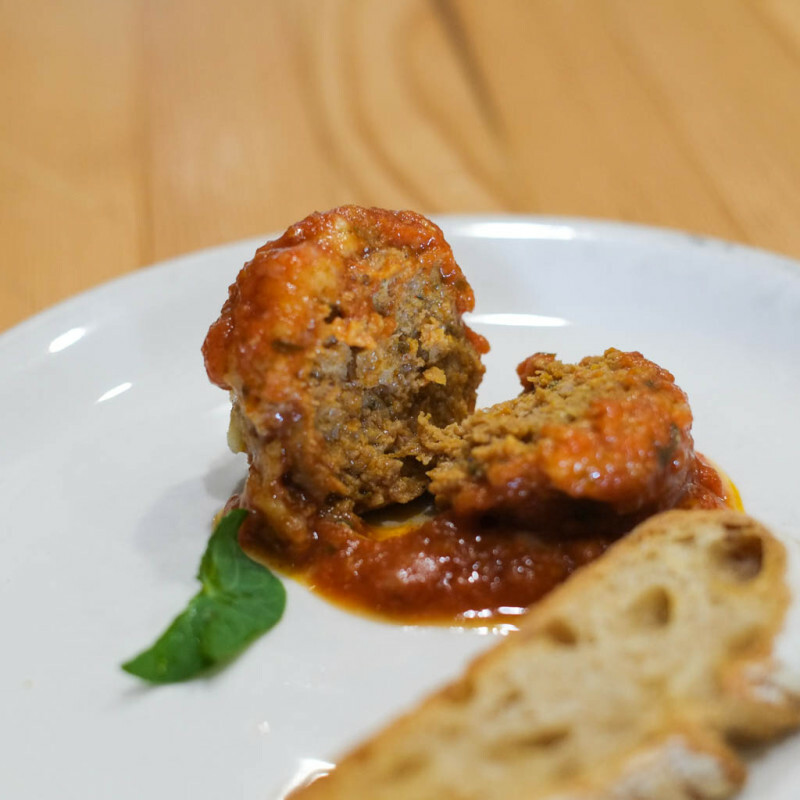 Nicli’s Meatballs ($13) – Fraser Valley beef & pork, San Marzano marinara, grana padano, and nasturtium leaf on top. 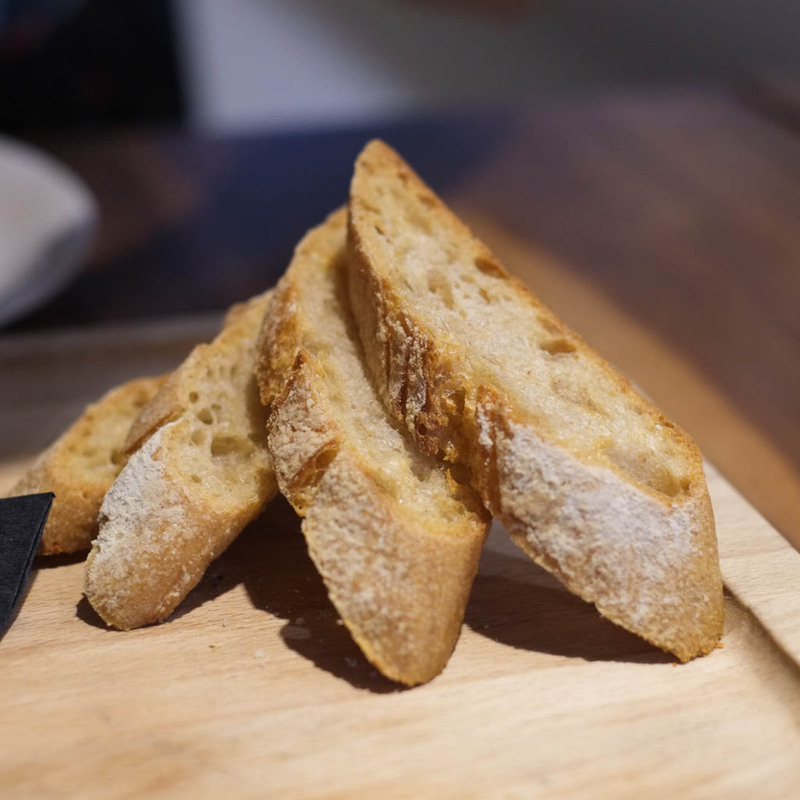 Comes with some of their housemade bread. Crusty, with an open, flavourful crumb. Moist inside with the perfect texture that’s easy to split with a fork, and in no way spongy or rubbery. Good balance of herbs and seasonings in the meatball (I think there must’ve been fennel seeds), and that great, tangy, sweet/savoury, gently acidic San Marzano tomato sauce. They also use San Marzano tomatos next door at Nicli Antica Pizzeria (next door to Nicli’s Next Door :P). I was also reminded of Pizzeria Farina’s sauce, which also uses San Marzano tomatoes. Something about those tomatoes is just magical when it cooks down into a sauce. Wow. 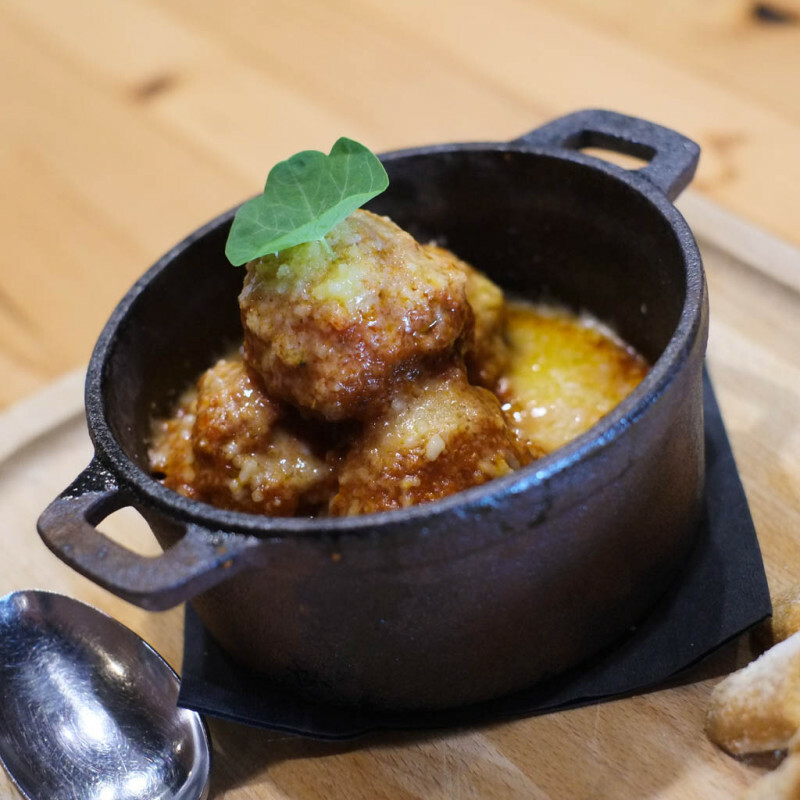 Side note: these meatballs are just as good as Ask for Luigi’s, but are kinda different. See my post about Ask for Luigi from 2014 for more deets. 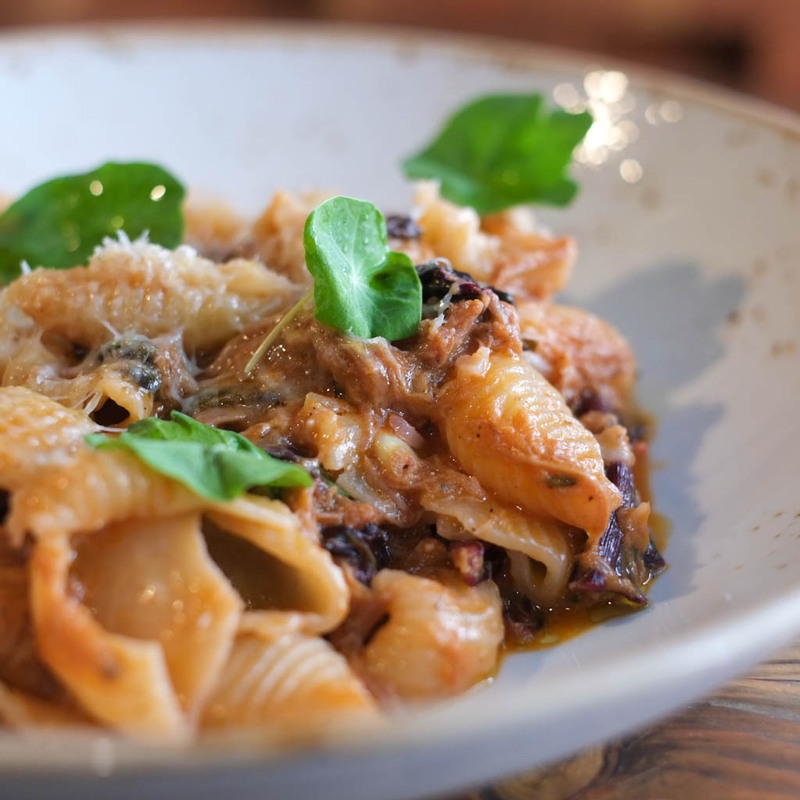 Conchiglie Shell Pasta ($14) with braised pork ragu, San Marzano tomatoes, parmigiano, beet greens, kale, and nasturtium leaves. 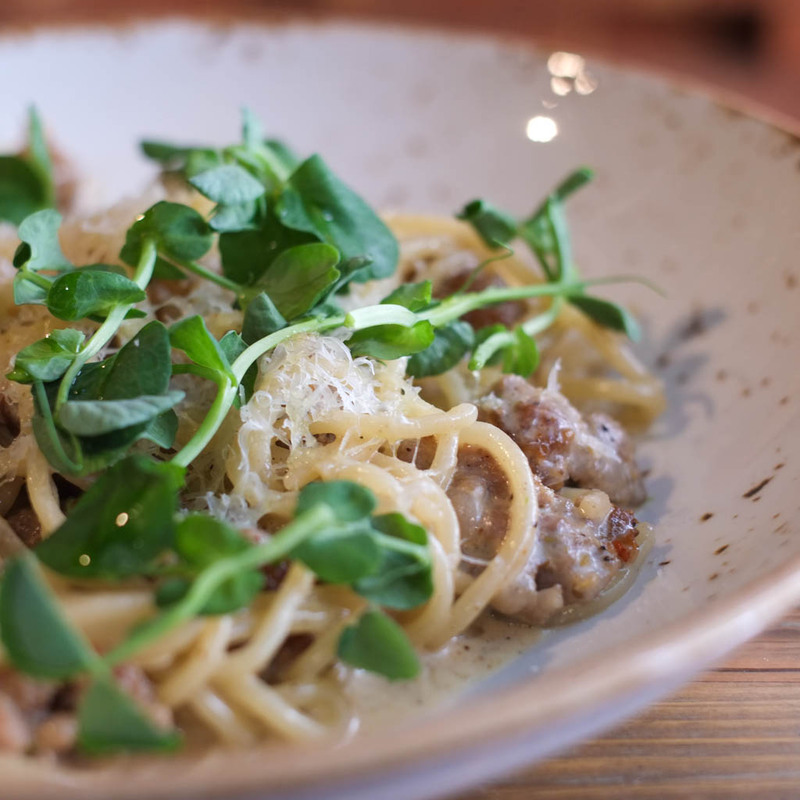 All their pasta is made fresh, in-house! Check out Josh Gale’s Instagram for photos and videos of the action. Wicca loved the tender, stringy texture of the meat. The beet greens and kale were an interesting and delicious addition. And we both loved the amount of chew in the pasta. Seasoning, balance, texture, all great! 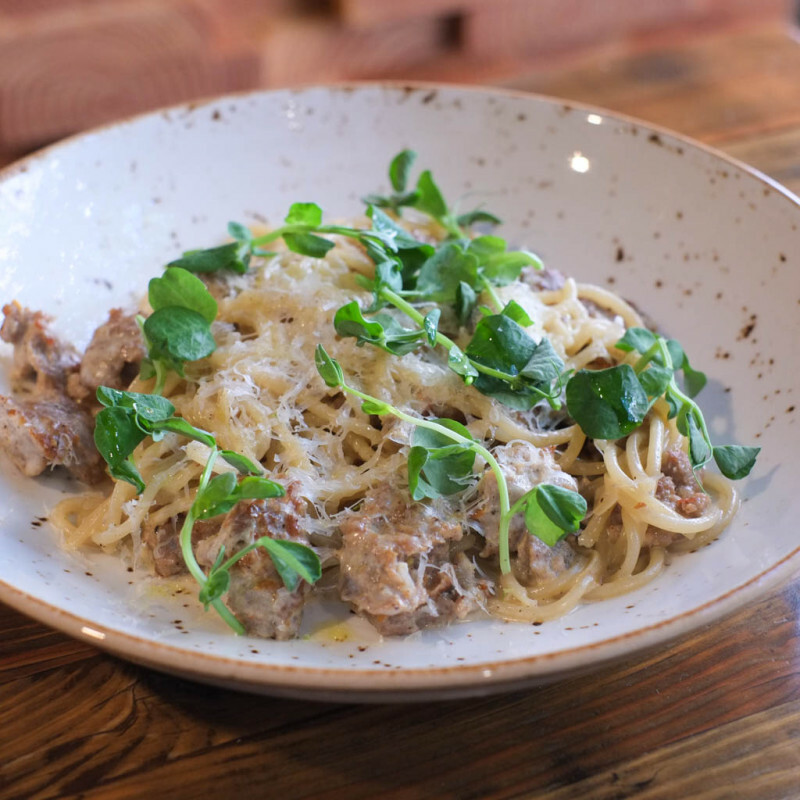 Spaghetti ($14) with fennel sausage, Calabrian chili, garlic cream, and pea shoots. We were plenty happy with the serving sizes here. Wicca doesn’t like creamy sauces but I loved it. 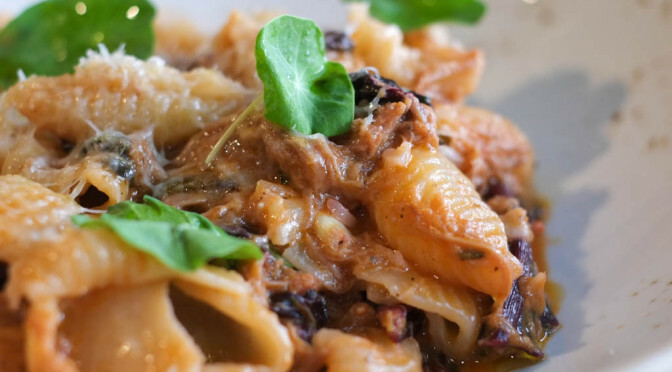 Garlicky, lusciously creamy, pasta with bite to it…rich, delicious, but not heavy. 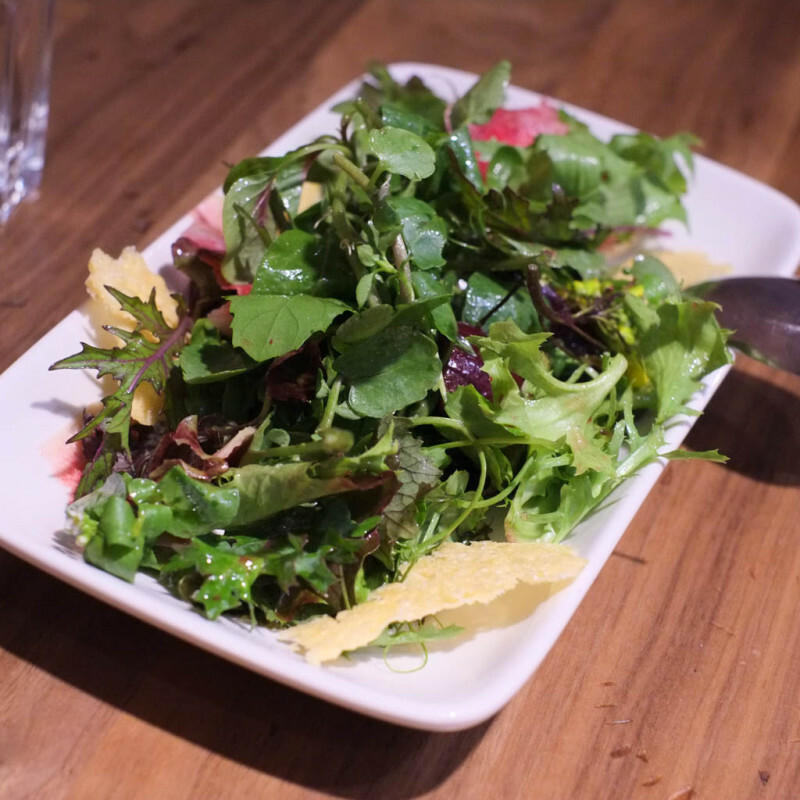 Pea shoots added a crispy, vegetal counterpoint. Very generous amount of fennel sausage. I thought back to the fennel sausage on the Pizzeria Farina finocchiona pizza — hard to compare…they both taste good but taste different. 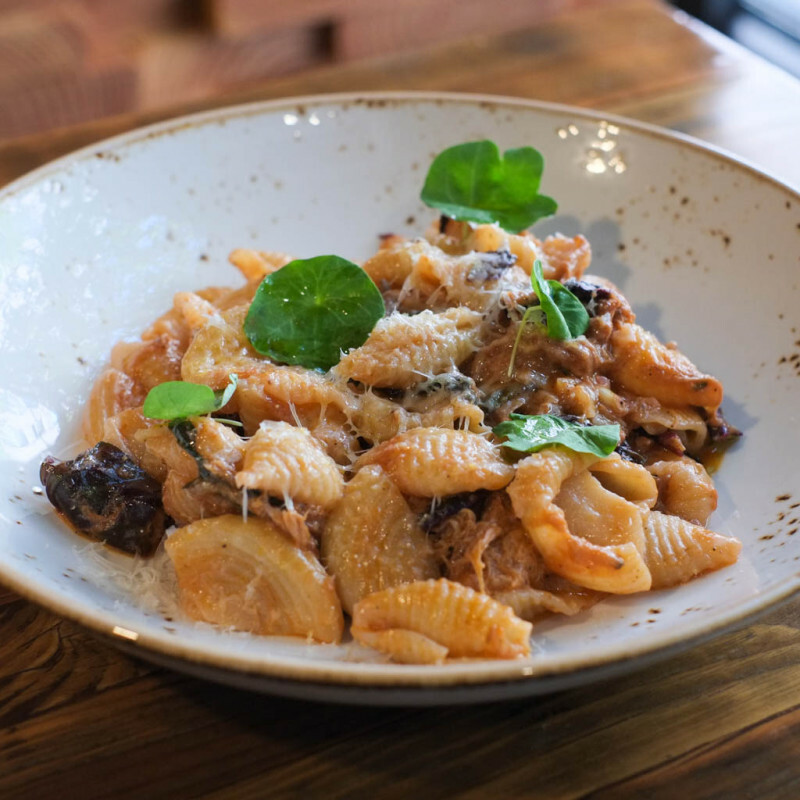 If I had to nitpick, this pasta was a touch salty but still within the enjoyable range for me. Loved this with the pFriem Blonde IPA that just cut through the creaminess. I probably waited too long to try Nicli’s Next Door but once we did, we loved it. 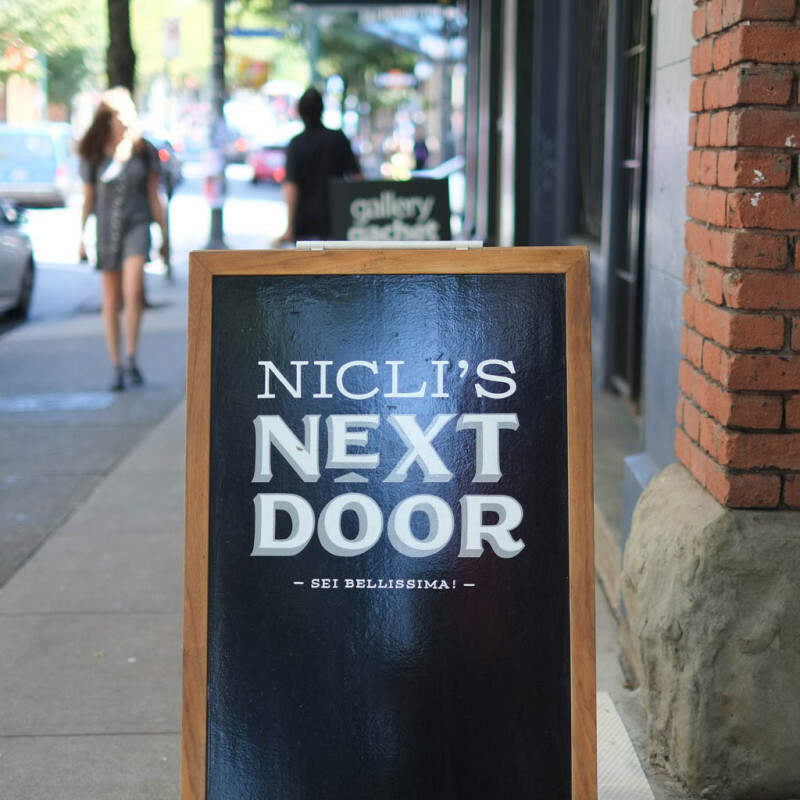 Ask for Luigi gets all the attention when it comes to fresh, handmade pasta, but Nicli’s Next Door does it just as well, and is totally deserving of your attention. 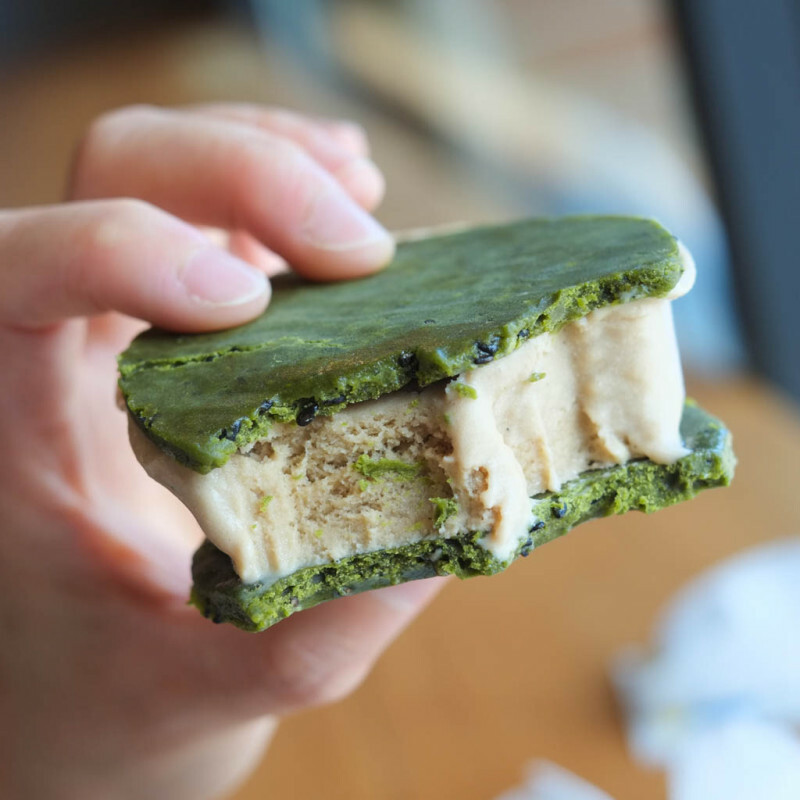 Secret Ice Cream Sandwich at Crackle Creme?? It pays to lurk around Instagram, doesn’t it? We saw this on candycomplex’s feed (and plenty others too) and had to try it! 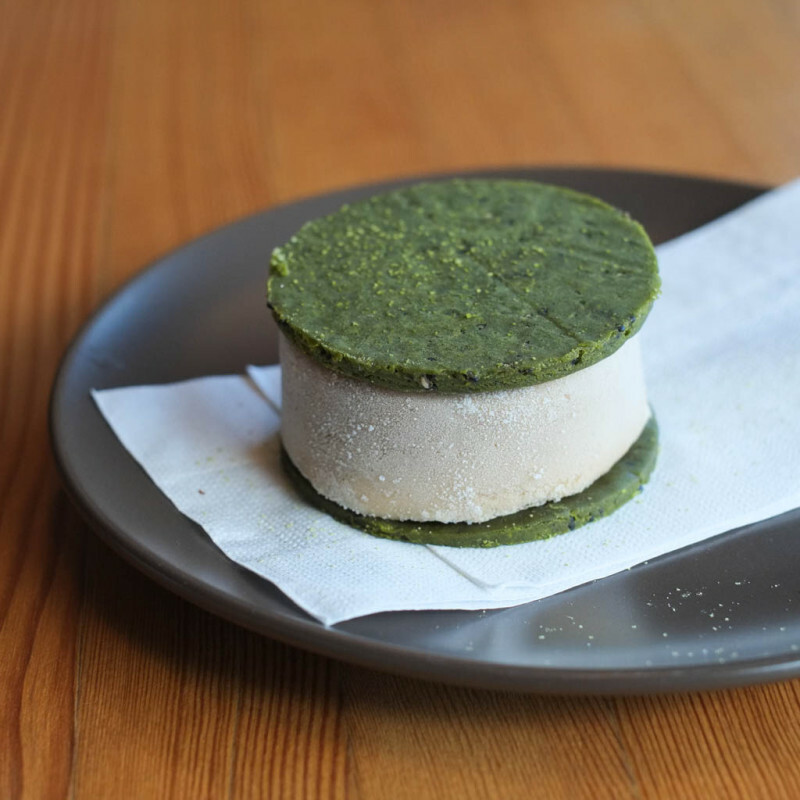 Hojicha Ice Cream Sandwich with matcha & black sesame shortbread cookies ($5.25 I think?). Wicca liked how she could taste the hojicha (roasted green tea), matcha, and black sesame all at the same time without any flavour being lost. I’m ok-to-indifferent about desserts, and I found this good but I had problems with the texture of the cookie…too gummy for me. I think I might’ve enjoyed it better if the cookie part was fresh and assembled just before serving, so that the texture of the cookie is preserved. The actual flavours were good though. 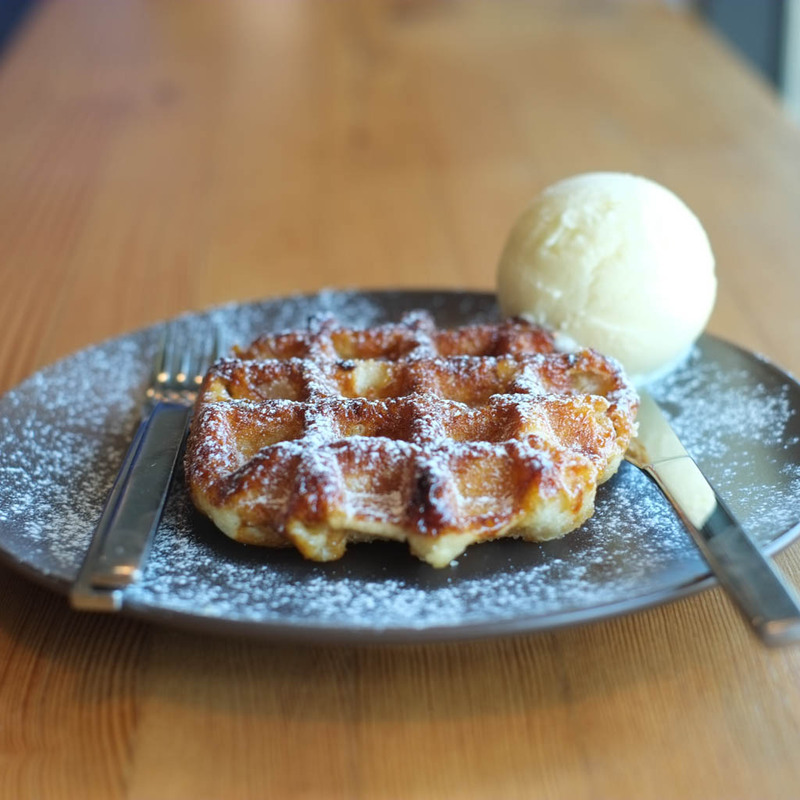 Vanilla Liege Waffle with a perfect sphere of durian ice cream ($6.55). The ice-cream was light and refreshing with the unmistakable essence of durian. It paired well with the waffle which was nicely caramelized on the outside and had a denser, more satisfying texture than most waffles that Wicca has tried. 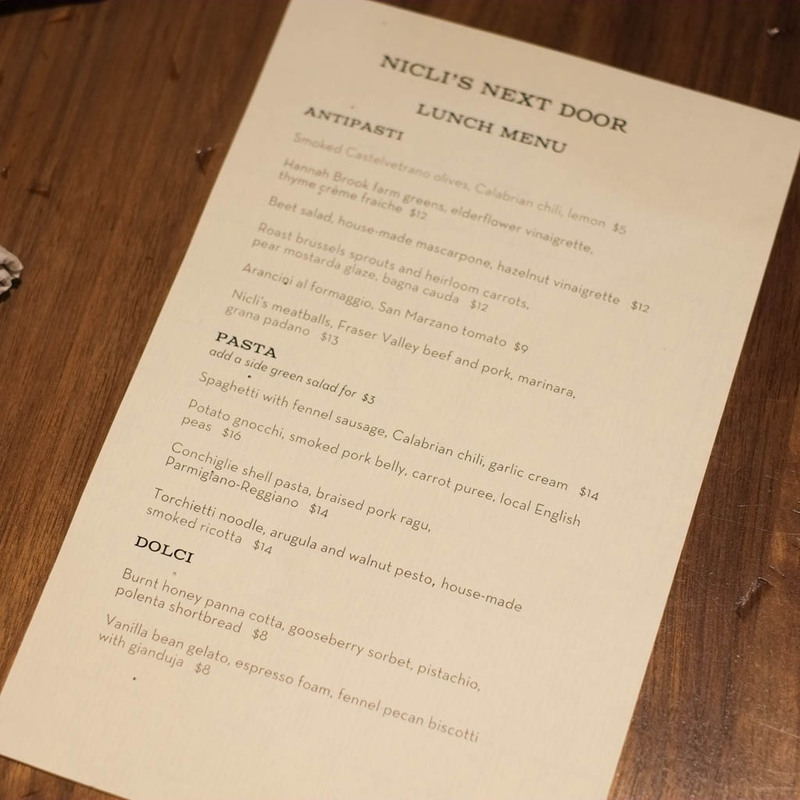 Thanks for the lunch review of Nicli Next Door — I didn’t know it was open during the day, duh. On the list for Friday Lunch with my partner in crime. Also like the look of the waffle and durian ice cream at Crackle Crème.